Leveraging on our vast manufacturing facilities, we are able to offer a wide range of silicone defoamer and silicone antifoams that contain non ionic surfactants & functional additives. 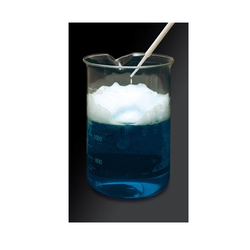 With the help of different surfactants, we provide various types of silicon antifoam, antifoam emulsion and silicon antifoam emulsion with foam stability. 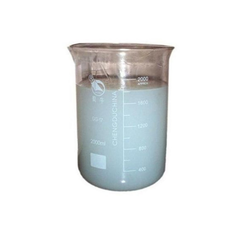 Depending upon the nature of surfactants such as nonionic, cationic, anionic or amphoteric, the liquid can be either aqueous, non-aqueous or both. The foams of these emulsions are the result of dissolved molecules in a liquid that alter the surface tension of the liquid. If the bubbles become large enough (increasing the diameter), bubble stability decreases. 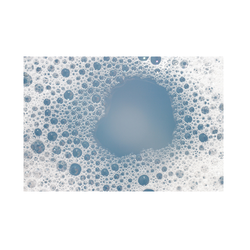 Our offered product Defoamer Oil is used in a wide variety of foaming systems and in very small concentrations usually only a few parts per million. We offer our clients Silicone Antifoams that are formulated by modifying duly tested chemicals with the help of modern machines. These chemically inert and non-toxic antifoams widely find applications in waste water treatment systems, agrochemicals, industrial cleaning & petrochemical processing. Omtex silicone defoamer/silicone antifoams are high-performance silicone based products containing non-ionic surfactants and functional additives. Defoaming Agents are specially formulated products for general-purpose applications combining stability and excellent defoaming action. Silicone defoamers are generally preferred for better stability and more lasting defoaming power in very small concentrations. Otcpl warrants only that its product will meet its specifications. Otcpl’s liability is limited to the refund of purchase price or replacement of the product. Otcpl will not be responsible for incidental or consequential damages of any kind. It is the user’s responsibility to determine the suitability of use. We have engaged in offering Silicone Defoamer for General Industry ETPs - SILA 01, which are formulated using advanced machines and stringently tested by our quality controllers to ensure maximum effectiveness. Used in aqueous solutions, these deformers prevent foaming and help in maintaining the volume in the reaction vessel. Further, we also provide free samples of these deformers to our clients so that they can evaluate their quality. Omtex Silicone Defoamer / Silicone Antifoams are high performance Silicone based products containing non ionic surfactants and functional additives. Powder Defoamer is used in a wide variety of framing systems and in very small concentrations usually only a few parts per million. Foam can cause major inconvenience in the industry resulting in damage to goods, loss of valuable products and reduced plant efficiency. SILAF PDR is a free-flowing powder containing silicone antifoam compound. This product has excellent long-lasting foam control in the Industrial application. eg. 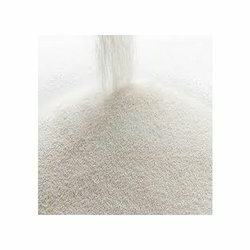 Dry flowable Agrochemicals, wettable Agrochemical powders, cement admixtures, patch and repair in concrete formulations. SILAF PDR is a specially formulated product that is used for various applications in different industries. It is a versatile product that combines stability with excellent defoaming action. Silicone defoamers are generally preferred for better stability and more lasting defoaming power in very small concentrations. SILAF PDR is extremely cost effective, as it is designed to work efficiently and economically. Extremely stable, both on storage and in the framing system itself. SILAF PDR can be used by incorporating in the Agrochemicals. However, the exact dosage has to be determined by the user by conducting actual trials as foaming conditions are unique to each system. We offer to our customers a wide range of Water Defoamers, which is hydrocarbon free. These chemicals are for use in both freshwater and saltwater fluids and reduce the foaming tendencies as well as completion fluid. Sr-defoam contains no oil and does not cause a slick or sheen when used on water location and are biodegradable. Moreover, these chemicals remain effective even after initial defoaming and continues to suppress foam generation over extended period of time. Defoamer Emulsion used for foam control at the pulp mill. A blend of organ-polydimethylsiloxane and other surface active agents.